If there is one thing that you must admire the British for, it is their consistency. Once they get hold of a good idea they do not let go of it easily, though some people think they tend to flog a good idea to death. During the nineteen-fifties and nineteen-sixties the British Grand Prix was held regularly, fluctuating from Silverstone to Aintree to Brands Hatch, but providing some good racing and some classic events in motor racing history. Although we have three major race-organising clubs in this country, at Grand Prix time they combine under the leadership of the Royal Automobile Club to jointly organise our Grande Epreuve which is known as the RAC British Grand Prix. Because the organisers are not very efficient businessmen the race invariably looked like being a financial loss, so help was sought from the world of successful big business, in the form of monetary support or financial guarantees in return for publicity. After a brief flirtation with the Wool Marketing Board the RAC made a deal with the John Player cigarette firm and changed the title of the race to the John Player Grand Prix. They also elicited support from the Evening News newspaper. 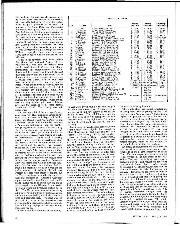 In 1970, what had been an interesting and exciting race, in which Jochen Rindt (Lotus) just beat Jack Brabham (Brabham) when the Australian's car ran short of fuel, was turned into a farce when the scrutineers proclaimed the rear aerofoil on the Lotus was above the regulation height (this measuring nonsense went on that long ago and is still not resolved satisfactorily). Rindt was disqualified and then the arguments began. After four hours of comic opera the decision was reversed and Rindt was re-instated as the winner. The measuring was done by a tape measure with the car standing on a piece of rough concrete! We had moved from the "swinging sixties" into the "sordid seventies". From then on the RAC British Grand Prix never looked back. The simple old-fashioned races were out and a new era of "entertainment" was substituted. In 1971 the race went to Silverstone with sponsorship from the British Wool industry and rather than wait until the end of the race to "jazz things up a bit" the starting flag was mis-handled and in the confusion Oliver and Hill were eliminated by a collision and Regazzoni was reprimanded later for anticipating the start. 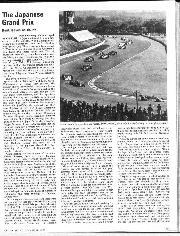 With two controversial events under their belt the RAC rested on their laurels for 1972 and we had a nice old-fashioned race at Brands Hatch, but by this time people wanted "spectaculars" or "extravaganzas", not old-fashioned motor races. The 1973 event went down in history. It was the occasion when Scheckter spun his McLaren at Woodcote at the end of the first lap causing one of the biggest multiple-car crashes ever seen, and the race had to be stopped and restarted again after the mess had been cleared up and sonic of the cars repaired. Back to Brands Hatch for 1974 and the event ended in complete confusion when Lauda (Ferrari) stopped for a wheel-change right at the end of the race and was then prevented from leaving the pit road. A real official bungle and the Scuderia Ferrari were very hot under the collar and made a protest to the FIA. Legal wrangling went on for weeks. 1975 was even better, for a deluge of rain threw the whole event into confusion, cars crashed all over the place and red flags were waved with complete abandon. It was total panic and the official results bore little resemblance to reality. The 1976 RAC British Grand Prix was well up to standard as a "spectacular"—as a Grand Prix it was another dismal farce, like too many this year. Everything started off well on Friday morning for a very full entry was present and correct, assembled in a nice new exclusive paddock behind new and spacious pits built in the centre of the circuit. To accommodate this new layout the bottom straight and the old South Bank Curve had been completely altered and renamed, and these track changes, along with modifications to Paddock Bend had been finished in time for the Race of Champions earlier in the year. The new pits and paddock were in use for the first time. A National innovation this year was the holding of the race on Sunday, instead of the traditional Saturday, and in consequence practice was held on Friday and Saturday. There were thirty drivers competing for twenty-six places on the starting grid, among them two lady drivers, Divina Galica and Leila Lombardi, but in the present fast company they had little hope of getting anywhere, though the first named made a very creditable showing. With the season over half-way through a certain pattern can now be expected to develop during practice and there were little deviations from it. Lauda, Hunt, Regazzoni, Depailler and Scheckter were the natural front-runners, with Andretti, Amon and Peterson maintaining their more recent form. Missing from this front group was Laffite with the Ligier, the swarthy Frenchman finding the car quite a handful as his only previous Brands Hatch experience was with a Formula Three car. After their encouraging showing in the French Grand Prix the Brabham-Alfa Romeos returned to the grey mass in the middle of the field, but Merzario shone briefly, getting his March to the fore-front of this lot. During the hour and a half in the morning the pace was close but not very fast, with Hunt making fastest time in 1 min. 22.10 sec, With him in this top bracket were Scheckter, Regazzoni, Lauda, Peterson and Andretti. During the hour after lunch things speeded up and times in the 1 min. 20 sec.-bracket were the order of the day, with Hunt still the fastest with 1 min. 20.39 sec., but now Lauda was right behind him with I min. 20.50 sec., and Peterson did I min. 20.64 sec., these three being in a class of their own. Before Scheckter became competitive he put himself out of the running by crashing his six-wheeled Tyrrell at Dingle Dell. He continued practice in his old 007 four-wheeled Tyrrell and was still faster than a lot of other drivers. Brambilla was frustrated from having a go by electrical problems in his orange March, but Merzario was excelling himself with the white March. 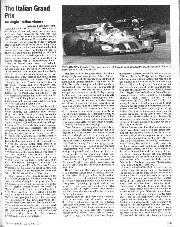 During the untimed practice on Saturday morning, with the weather still fine and a huge crowd in attendance, Lauda tried out the spare Ferrari, and Andretti tried the new Lotus. The Tyrrell lads had beaten Project 34/3 straight for Scheckter, and everyone seemed set for the final hour of timed practice, in do-or-die attempts to hold good grid positions, improve had ones, or merely avoid being left out altogether. The elite really "turned up the wick" and Lauda took pole position with 1 min. 19.35 sec., with Hunt very close behind with 1 min. 19.41 sec. and both had their eyes on Andretti in the Lotus 77 who was with them with 1 min, 19.76 sec. Depailler was in his usual great form, even though he was suffering from a throat infection, and was given 1 min. 19.88 sec. by the official timekeepers. 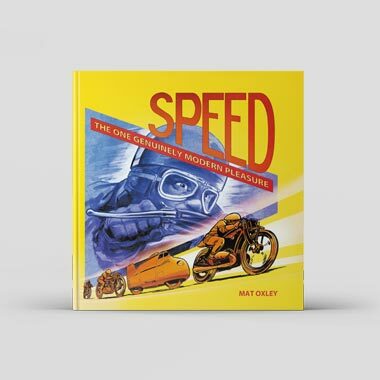 At this point, what was brewing up into a really good motor-race began to slip down into the farce that everyone has come to expect of the British Grand Prix. Race communications and the information service had been revamped and while it had not been good on Friday, it now deteriorated rapidly and shortcomings in the system began to show up. While a 1 min. 19 sec. bracket lap was for the elite, there was a very large bunch of real hard-triers in the 1 min. 20 sec.-bracket and eight-and-a-half-tenths of a second covered a dozen cars, for the pace really hotted up and left the tail-enders rather breathless. The Ligier cracked a rear suspension mounting bracket and Laffite had to use the earlier car, and Nilsson had engine trouble and had to use the latest Lotus 77, making a very competitive time with it. Andretti was all charged up to do "a real flyer" near the end of the session, with specially bedded-in tyres on his Lotus, when he got a puncture so he could not improve on his 1 min. 19.76 sec. The regular tail-enders were going almost as fast as the Aces had gone in the first practice session, in their efforts to stay in the picture and when all the excitement and pandemonium had subsided it was seen that Ickx, Galica, Wilds and Lombardi had failed to make a place on the grid. Many people were convinced that there must be something radically wrong with Harvey Postlethwaite's 1976 design for Frank Williams, especially those who have seen Jacky Ickx in action with the Porsche 935 and 936 cars. A statement appeared from Race Control that Stuck had infringed Article 19(D) - whatever that was - and his practice time should read 1 min. 21.49 sec., but almost immediately this announcement was withdrawn and he reverted to 1 min. 21.20 sec.! The time-keepers sent out a provisional list of times which were neatly hand-written, giving Depailler with 1 min. 19.88 sec. and these were subsequently typed out and photostated. 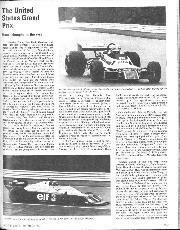 When the grid was published Depailler was noted as having a best time of 1 min. 20.15 sec., without any explanation. Lauda had chosen to start from the left side of the track, as is permitted to the man on pole position, but the grid had been drawn up with the rest of the runners the wrong way round. Quite late on race morning another grid was published reversing the positions of all those behind Lauda and Hunt! The comedy was well under way. However, we still had the makings of a very good race, with Hunt alongside Lauda on the front row, Andretti and Regazzoni behind them, then Depailler and Amon, Peterson and Scheckter. Before lunch on Sunday there was a "warm-up, test-session" and the weather was getting really warm after a hesitant, misty start to the morning. An enormous crowd, estimated at 77,000, packed the Stadium to capacity as the drivers made their final checks on performance. Lauda tried a searing practice start on the bottom straight, and Hunt did likewise, but the McLaren clutch could not take it and the gearbox was hurriedly pulled off and a new clutch installed ready for the race. Pace's Alfa Romeo engine did itself an internal mischief so the car was abandoned and the Brabham mechanics hurriedly prepared the spare car ready for the race, it never having been run during practice. Peterson's Cosworth engine died with an electrical fault, and rather than waste time trying to find the trouble his mechanics set-to and changed the entire engine. Scheckter's Tyrrell six-wheeler also died with electrical failure, but the Tyrrell mechanics methodically traced the fault and corrected it. Andretti's Cosworth engine was another to suffer electrical trouble and the Lotus had to be towed in at the end of the test-session, while Nilsson's Lotus needed its clutch operating hydraulic system to be bled. The Ferrari team seemed to be taking extra care over filling their oil systems and the whole scene was boiling up nicely towards a tense and dramatic race. The start was not due until 3 p.m., so in the mean-time there were supporting races, demonstrations, parade laps and flying displays to keep the waiting thousands happy. It was a beautiful afternoon as the twenty six cars were driven round to the starting grid and there was a keen sense of urgency in the air, but we should have known it was all too good to be true. They all did a warm-up lap and then with 26 x 470 horsepower on full song the new starting lights turned to green and the British Grand Prix was on. But not for long. Lauda made his usual superb getaway, while Hunt bogged down slightly, just enough to allow Regazzoni to dart past and the two Ferraris were virtually side by side as they arrived at Paddock Bend. Unbelievably, there was a coming-together of the two red cars and one of Lauda's offside wheels ripped into the nearside of Regazzoni's car, tearing off the fibreglass fairing over the side radiator and splitting open the aluminium water pipe that runs from the left-hand cylinder-head round the corner of the monocoque, forward into the water radiator, allowing a gusher of green coolant to spurt out. Worse than this was that the "nudge" put Regazzoni's car into a 180-deg. slide and there he was face-toface with Hunt's McLaren. 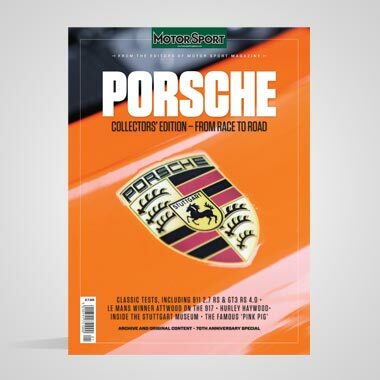 For agonising moments, Hunt seemed as if he was going to avoid the sliding Ferrari, but then the McLaren was launched up into the air as it rode over the Ferrari's offside wheels. For a brief moment the whole of the underside of the McLaren was clearly visible to viewers on the inside of Paddock Bend and it seemed that it must roll completely over, but it did not, and crashed back onto its wheels, with the right front steering arm broken. Meanwhile Lauda had gone on and everyone else was dodging about all over the place, Stuck's March diving across the grass on the infield in the melee. When the dust settled everyone had gone, including Regazzoni and Hunt, and only the unfortunate Ligier was left, rammed into the bank on the outside of the bend and well out of the way, the driver quite unhurt. The whole affair had looked catastrophic, but had proved to be completely harmless, with only three cars "hors-de-combat", but someone flapped and pressed the "panic button" and the British Grand Prix, for the second year in succession, was stopped by the official Red Flag. Lauda, Depailler, Andretti, Scheckter, Peterson and Brambilla all started their second lap and "tippy-toed" their way through the dust and stones and water at the scene of the accident before being flagged-off. Regazzoni had driven his water-less car back to the pits, but Hunt had only got as far as the bottom straight, where he was brought in through the back gate into the paddock. An official announcement was made that the race would be restarted in accordance with Article 23 of the general prescriptions of the FIA. 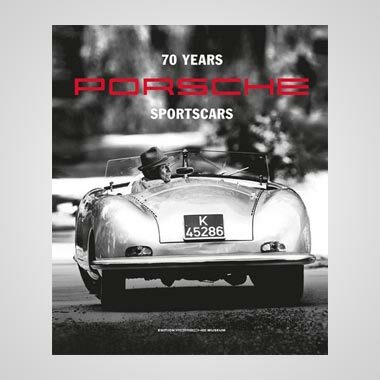 This is a long-winded account of what to do, written in the Red Pages of the FIA Yellow Yearbook, the weighty tome that is packed full of rules and regulations governing International Motor Sport. After nearly 30 minutes it was officially announced that the race would restart as if the first lap had not occurred. However, no car would be allowed to restart that did not complete the first lap, even if it finished that first lap by going into the pits. 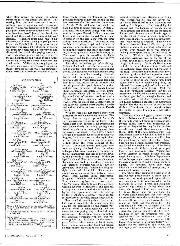 In addition it was stated that no Training cars would be allowed to start the race. The grid would be as before with gaps for those cars that did not complete the first lap and the full 76 laps would be covered. This all seemed reasonable enough, until the commentators announced to the public that it meant that Laffite, Regazzoni and Hunt would not be able to restart the race. The whole Stadium erupted with boos, cat-calls, whistles, shouts, and ended in a rythmic slow-hand clapping. The three teams concerned had already got their spare cars out on the grid and when they refused to accept the official statement there was uproar and chaos. 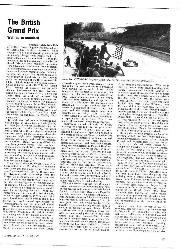 The starting line, pits and race-control were a seething mass of argument and controversy and every move was transmitted to the 77,000 paying customers by the commentators. There must have been 50,000 James Hunt fans in the crowd and they made their support felt very strongly. Regazzoni must have had 10,000 followers, and Laffite a small group of patriotic French on Druids Hill. Every move in the argument was greeted by cheering or booing that must have been heard a long way off and all round the circuit the paying customers made it abundantly, clear that they considered the rule book stupid and wished to see a motor race for all twenty-six drivers in any cars they could muster. While all this was going on the McLaren mechanics were feverishly repairing Hunt's damaged car and while the arguments and protests continued it was wheeled on to the front row to replace the Training car. This provoked renewed arguments for had the race been restarted after the prescribed 20 minutes in Article 23 the McLaren team would not have had time to repair their car. A state of dead-lock was fast approaching, With Regazzoni in the spare Ferrari, Laffite in the spare Ligier and Hunt in the repaired McLaren, all in position on the grid along with the other twenty-three competitors. There was no way out but to start the race again and continue the arguments afterwards, so once more everyone fired up their engines and set off on a warm-up lap, forming up once more on the dummy-grid. They moved up to the start-line, the lights signalled go and for the second time the 1976 British Grand Prix was under way. This time the leaders got safely through Paddock Bend and it was the tail-enders who had an accident, and after some bumping and boring, Guy Edwards found himself stationary in a rather secondhand-looking Hesketh. Barely had this happened than there was another melee at Druids Hairpin and Depailler spun to rest and Stuck was off the track, but nobody pressed the "panic button" this time and the race continued, with Lauda leading Hunt, Regazzoni, Scheckter, Peterson, Brambilla, Amon, Watson, Nilsson, Merzario, Pace, Pryce and most of the rest. Andretti was in trouble with faulty ignition, Mass was in trouble with his clutch and Depailler had to stop to have his safety harness buckled up as he had undone it after his involvement at Druids Hairpin. With the race only just started there were already three cars out and more to follow. 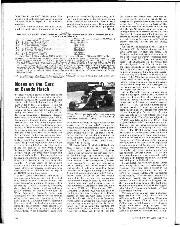 The Ensign blew its engine up, and Andretti's electrical/ignition trouble got no better. The whole affair soon became a bit processional with Lauda slowly but surely pulling away from Hunt, who in turn was pulling away from Regazzoni. Although it was a lovely sunny afternoon enthusiasm for the race as such was flagging, for it was clear that the legal minds in the pits were at work on formulating protests about the whole conduct of the restart. Those like Tyrrell and Lotus who were completely absolved from the whole unhappy affair were particularly incensed at the miss-management and lack of power shown by the Stewards of the meeting. Within 10 laps Lauda and Hunt were out on their own, Regazzoni was leading Scheckter, Brambilla and Peterson; Merzario was on his own for Amon had retired and Watson had dropped right to the back of the field. Then came a motley collection comprising Nilsson, Pace, Pryce, Jones, Lunger, Jarier, Reutemann, Fittipaldi, Depailler and Laffite, the two Frenchmen driving hard to overtake people. The Marches of Brambilla and Peterson were wearing out their left front tyres, and soon had to stop for renewals and the main interest lay in the groups who seemed to be held up by the Brabham-Alfa Romeos, which looked at their worst on the twisty Brands Hatch circuit. Hunt could do nothing about Lauda, but luck was on his side for the second time this day, for the gear-change on the Ferrari was showing signs of malfunctioning and the movement was getting very stiff and slow in consequence. In addition Lauda was finding that continual struggling with the lever was wearing him out physically. In the second-place McLaren there was a similar situation, for in the first-race accident Hunt had banged his right thumb badly and it was now proving painful to change gear. Regazzoni was going well, considering he had not driven this particular Ferrari before and Scheckter was holding fourth place. Hunt was doing his utmost and was hanging on grimly neither losing ground nor gaining any on the leading Ferrari, and this went on until Lauda began to lap the mid-field runners, when his troublesome gear-change was causing him embarrassment while trying to overtake. This allowed Hunt to close up dramatically and by half-distance he was within striking distance of the Ferrari, even though there was ominous-looking smoke appearing out of the back of the McLaren. Within a couple of laps the red-and-white McLaren was on the tail of the Ferrari, looking for a way by, but Lauda was not giving in easily. On lap 44 Hunt almost took the Ferrari as they went into Druids and the McLaren driver knew he had the race in his grasp. Next time round he made his move and was by, almost before the partisan crowd had time to realise he had done it. Accompanied by a sea of cheering and waving fans, Hunt pulled away into a commanding lead, the dejected Lauda easing right off as he was well ahead of Scheckter in third place. While this had been happening Regazzoni saw the oil pressure on his Ferrari engine sag dangerously and he stopped before the engine blew up and as Laffite had retired shortly before when the old Ligier suffered a cracked rear suspension bracket, like the new car had in practice, the decision of the Stewards to exclude them from the results for using Training cars, was rather pointless. The only serious racing going on was a scrap between Nilsson and Pryce and as cars fell by the wayside what had begun as a pleasant little private battle, turned into something important as they were battling for fourth place overall, even though Hunt was about to lap them. Both of the Alfa Romeos went sick, Reutemann stopping when hot oil leaked into the cockpit, Merzario's brave run in fifth place had ended with a broken drive-shaft, Brambilla had had a stupid collision with Peterson, and Depailler's engine blew up. 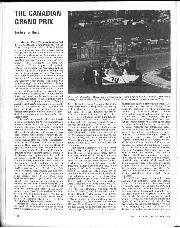 After being delayed by a spin off the track and a pit stop to have a new nose-cone fitted, Watson had driven valiantly to regain ground and had fought his way up to the Nilsson/Pryce battle, and at 64 laps he got between them, but then his engine went rough and he could climb no higher. He inherited fourth place when Nilsson's race ended with a broken piston, but was a lap down on the leaders. The whole affair ground to a halt after 76 laps but most people seemed to sense that the result was not as simple as it appeared and sure enough protests were handed in to the Stewards by Ferrari, Tyrrell and Fittipaldi. After a long discussion, during which time those who stayed behind were entertained by Chris Barber and his Jazz Band, the Stewards finally announced that Hunt would not be excluded from the results, because "... he was still proceeding in a forward direction when the (first) race was stopped". This does not tie in with the statement after the accident which said "No car will be allowed to restart that did not complete the first lap". 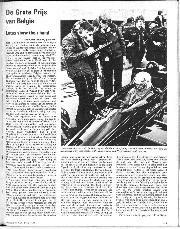 Needless to say the protestors were not satisfied with the decision and went off to consult higher authority; so another 1976 Grand Prix ended on an unsatisfactory note. Hunt's win was something of a hollow one and legally still in some doubt, but he did finish first in the RAC British Grand Prix which ended in dispute, but that is something we have come to expect in the nineteen-seventies. If the FIA refuse to allow the RAC to run another Grand Prix on the grounds of incompetence, you could hardly blame them, but it will be a great shame for they certainly put on some splendid entertainment, even if they cannot organise a motor race. It cannot all be bad luck; some of it must be bad judgement.